(click to enlarge!) 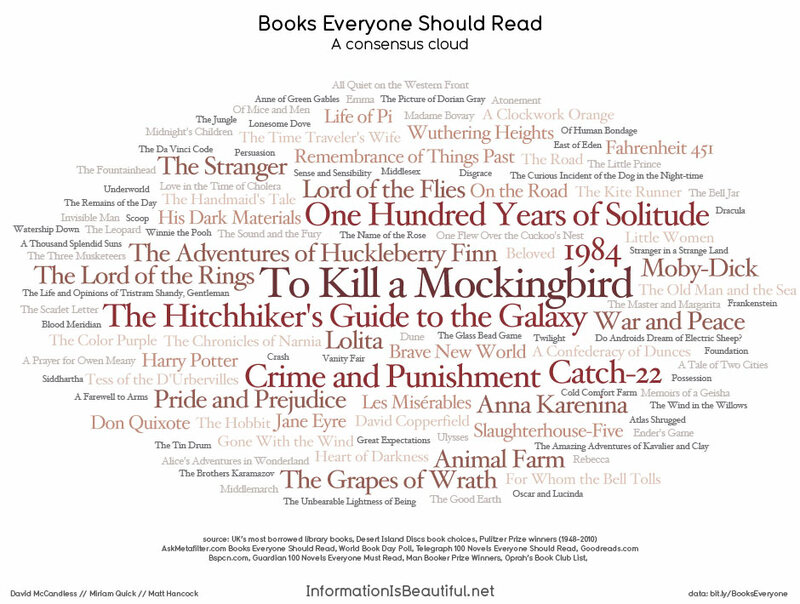 Which books should everyone read? David McCandless shows how graphics have the answer. Tags: book, books to read, boos, read, read books, reading, what to read.